New to machine appliqué or with previous experience? Come along to this class and have a go at the lovely block we have, make an individual block to turn into a cushion cover or make several for a wall hanging. Using our Juki top of the range machines and ‘Heat and Bond’ make this even easier. 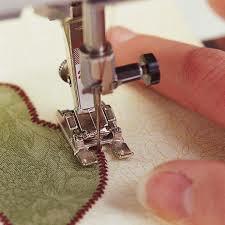 Craft cotton/quilting fabric for making the block and a simple sewing kit are required. We will supply the machines.